The Singh-Ray 150 x 150mm 2 Sunset Soft-Edge Graduated Warming Filter helps to specifically add a warm, reddish-orange coloration to skies and other bright areas of an image while allowing a portion of the image to remain neutrally colored. The filter's coloring is densest at the edge and tapers to clear by the middle, with a soft-edged transition between the density and clear areas. The 2 stop color density provides a moderate amount of sunset coloring that is less than the 3 stop, but more than the 1 stop, sunset warming filter. Singh-Ray rectangular filters are constructed from CR-39 optical resin for high image clarity and overall durability. This filter measures 5.9 x 5.9" / 150 x 150mm. 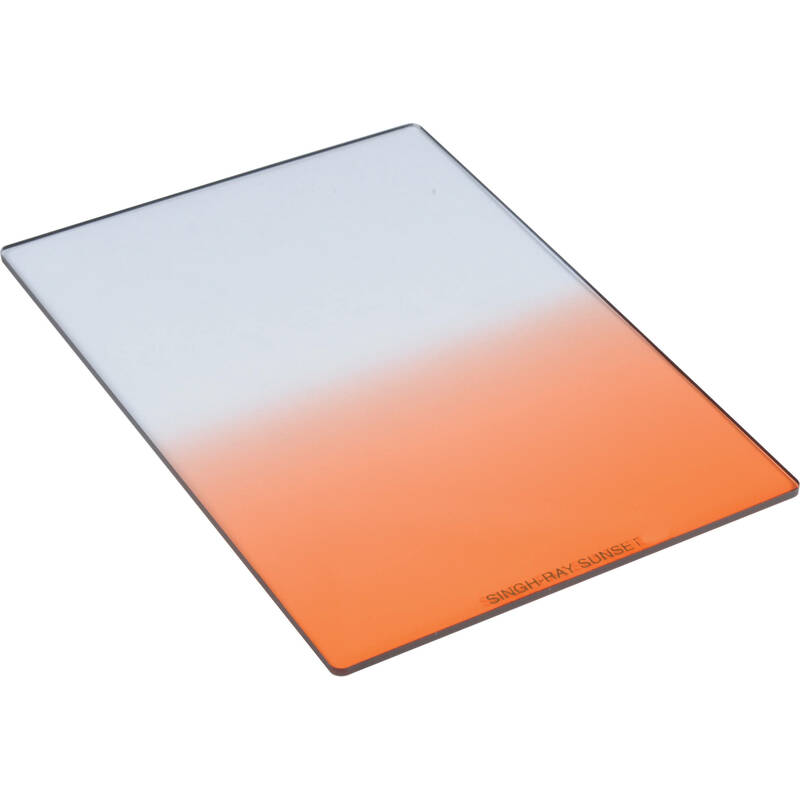 Soft-edged graduated warming filter for adding a reddish-orange color to skies and other bright areas of the image. 2 stop color density provides more sunset coloration than a 1 stop, but less than a 3 stop, sunset warming filter.